Love advice, friendship tips, and the 25th Annual Tibet House US Benefit Concert. The Flaming Lips have made it, and word is the top of the mountain doesn’t look all that different from the bottom. After more than 30 years together as a band, the psych rock group has redefined its limits. As frontman Wayne Coyne tells us over the phone, it’s all due to love. 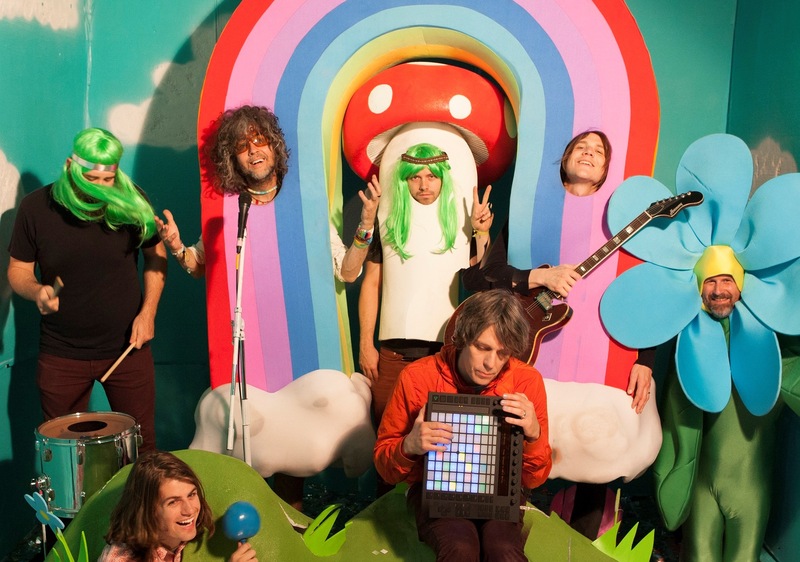 As a band that’s best known for inveterate weirdness, The Flaming Lips face an underlying pressure to outdo themselves. They’ve sold human skulls, put music in a bubblegum-flavored gummy fetus, and held headphone concerts before silent discos were trendy. Their absurdities aren’t gimmicks. They’re habitual blossoms of entrenched creativity. From a distance, it’s reasonable to believe the band splits its time between the studio, a science lab, and a craft megastore. So their next endeavor will raise the stakes once again. On March 5th, The Flaming Lips will take over Carnegie Hall to perform at the 25th Annual Tibet House US Benefit Concert alongside Laurie Anderson, Philip Glass, Patti Smith, Sturgill Simpson, Tenzin Choegyal Debbie Harry, and Ashley MacIsaac. The long-standing cultural event gathers some of the most influential names to support the work of the Tibet House US, a non-profit educational institution formed by the Dalai Lama in 1987. 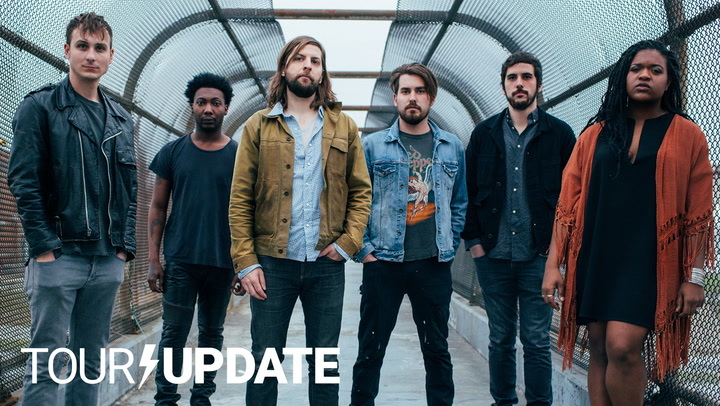 Between the transcendent live performances and honorary chairpersons Chuck Close, Maggie Gyllenhaal, Peter Sarsgaard, Uma Thurman, and Arden Wohl stopping by, it’s a kaleidoscope of tender hearts and raw sound. 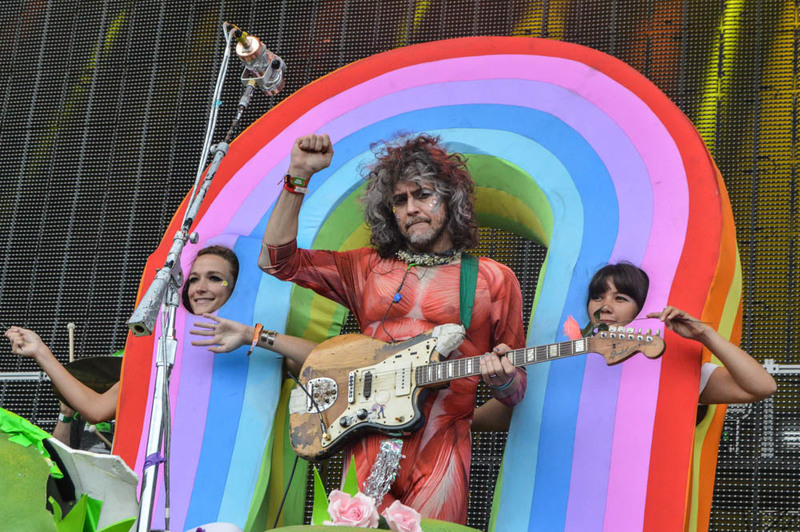 As they gear up to play in a little over a week, Wayne Coyne talks in depth about the concert’s core values — peace, love, and patience — with the utmost sincerity. That’s part of being Wayne Coyne: He finds the introvert inside everyone. Once he locates it, he offers a hug and helps lure it out. “Someone like Miley Cyrus, we see a side of them in the public,” he explains. “She seems like this freak who needs attention all this time, but if you’re around her for five minutes, you realize you like that. Obviously she is that first part, or else she wouldn’t embrace it, but she’s a sweetheart. She’s an insecure freak like me. That’s exactly why we get along,” he explains. “You don’t know what to do, you have this desire to create, and you’re unsure of what you’re doing but you try and try. I see that in everybody I like, everybody I’ve worked with. When you really get to know them, we’re all struggling with the same things.” Every musician he collaborates with is someone creating an identity, someone figuring out their sense of self as an artist. They’re musicians, too, but what they’re really dealing with is art. Being in charge of something that opaque is onerous. Which brings us back to where we started: love. Flaming Lips fans are the first to offer you a hug and the most prepared for a spontaneous cuddle should you ask. They may be struggling to keep their drugs under control, but their hearts are large. Ask them why, and they will tell you it’s obvious: they’re mimicking the band. The Flaming Lips frontman has long believed humans can’t survive without love. The more Wayne Coyne talks about it, the clearer it becomes he’s thinking beyond the literal. “The biggest part of love is wanting to stay alive, wanting your hair to grow, wanting to be here,” he says, picking up his pace. “It’s all mixed in there with this desire, this unknowable thing. We know it’s here. It’s so much a part of this drive that makes you alive … I’m not a scientist, and I don’t really know what’s best, but, to me, it’s this urge to be. Part of that is about wanting to be a part of the world.” After a few more minutes of discussion, it’s clear that’s The Flaming Lips’ underlying goal. They want to remind us why life’s worth it. Their rainbow outfits and glowing spaceships are more than trippy props; they’re a tangible way of projecting the capricious absurdities that guide our own hearts.